Release date February 23, 2018. Combining analog synths with sludgy doom metal, Insect Ark has returned with another strong release in the form of Marrow Hymns, an album that combines plenty of furious detuned guitar riffs and tricky drum patterns with more atmospheric music. 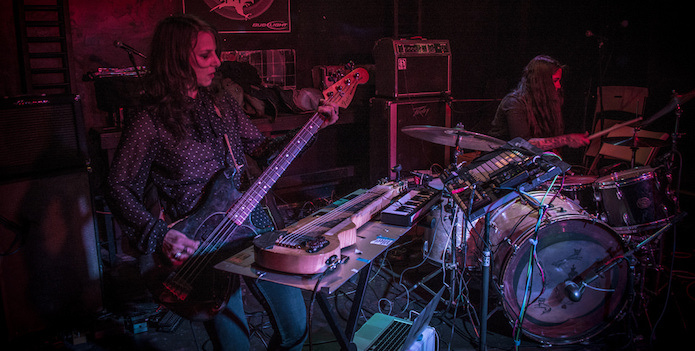 Multi-instrumentalist Dana Schechter has now been joined by drummer Ashley Spungin and the duo carve out their own sonic niche, relying on creaky synths and mournful lap-steel guitar. After a brief interlude, “Arp 9” really kicks off the album, riding a swinging drum and bass groove and featuring some intense lap-steel guitar from Schechter, who really pushes the sound of the instrument into metal territory. The production is thick and grimy, managing to capture that classic analog metal sound while also feeling modern, there is a certain level of grit and darkness that separates it from the classics and helps to keep things fresh. Another reason for this is the interesting integration of non-metal instrumentation, especially brooding synthesizer passages that sound lifted from a horror movie. This is particularly true on the sprawling “Skin Walker,” which makes use of an eerie background synth to complement some dark sounding lap-steel guitar. This gives the song an uneasy, dissonant vibe, taking the listener’s ear to unexpected places. The centerpiece of the album comes in the form of the massive epic “Slow Ray.” The piece is anchored by some snappy drumming from Spungin, who makes every single snare hit or cymbal tap matter. The song also features plenty of jagged guitar figures rooted in queasy dissonance, adding to the sinister and evil vibe of the piece. 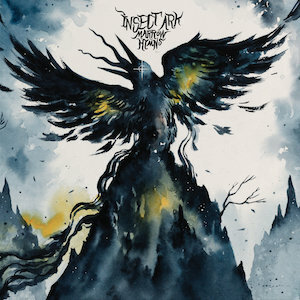 As an instrumental band, Insect Ark has to focus in on their own instrumentation to provide the emotional content that a vocalist would normally provide, something the duo does incredibly well throughout the album. As the album reaches its conclusion, the band makes sure to pack in another epic-length song in the form of the eight-minute plus “Windless.” Composed in the vein of classic horror movie soundtracks, the piece slowly builds from creepy synths until settling into an almost jazz-like shuffle anchored by a heavily distorted and aggressive bassline from Schechter. However, just when you think the band is going to crank up the heavy guitar riffs, the song maintains this atmospheric sound before the tempo gradually drops and the song fades out. This type of expansive songwriting makes for an intriguing listen, and it is proof of the band’s progression from their first album until now. Marrow Hymns is an interesting and captivating record that does more than just wail on standard heavy metal musical tropes, instead, the album charts a bold new direction that sets it apart from any other album out there today. 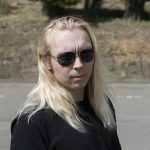 Andy grew up in the suburbs of the east bay and became fascinated with the local music scene from an early age, attending his first concert at the ripe age of 14. Since then he has stayed active in the local metal scene, going to countless shows and playing in his own thrash metal band, Invection. In addition to music, Andy has always had an interest in writing and public speaking, eventually graduating with a BA degree in Rhetoric from UC Berkeley. Andy is also an avid runner and running coach, with a USA Track and Field master coach certification. When not attending concerts or track meets you can find Andy running on many of the picturesque trails around the east bay area. Enter your email address to subscribe and get notified on every new post!